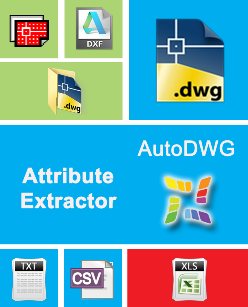 AutoDWG Attribute Extractor, Faster than ever! 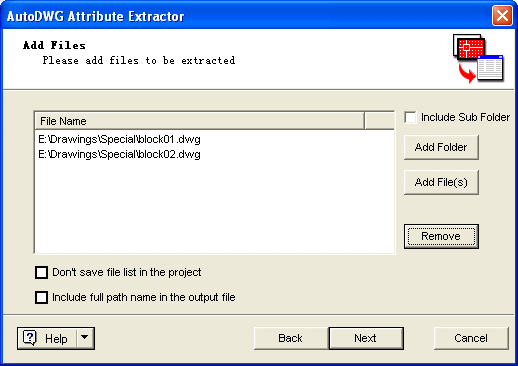 AutoDWG Attribute Extractor is for batch extracting of attribute data from AutoCAD attribute blocks without running AutoCAD. Stand-alone application, run without AutoCAD. Batch extract attribute data from numerous files in one go. 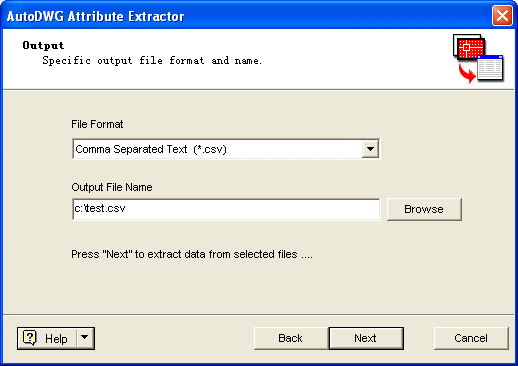 Output format of TXT, CSV and Excel file are supported. Command line is supported (Server version only). DWG/DXF file versions from R9 to 2019 are supported. Why do we extract attribute information? 1. Creating a list of materials that comes to mind immediately. 2. Extracting attribute information into a spreadsheet program such as Excel, to let you calculate valuable attribute data, sort, etc. Extracting attributes has always been one of the toughest tasks in AutoCAD. But now, following the guide and clicks mouse for several times, you’ll get what you need. This featured Attribute Extractor is stand-alone, it runs completely without Autodesk products. This application enables you to batch extract attribute data from numerous files in one go. 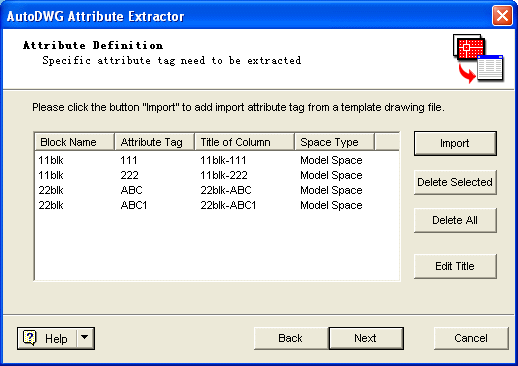 Attribute extractor supports source formats as DWG and DXF, version from R9 to 2019, and target format as TXT, CSV and Excel format. The latest version of this Attribute Extractor 2019 has been released recently. It supports editing the attribute data and saving the update data to the new drawings. 1. What is a project file? The project file (*.PAE) which is used to store the extraction definition information. If you have already done this, please select an existing one; otherwise please create a new one. 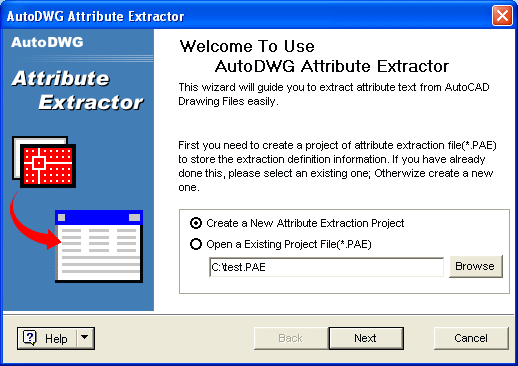 AutoDWG Attribute Extractor is for batch extracting of attribute data from AutoCAD attribute blocks without running AutoCAD. Most DWG formats are supported including AutoCAD R9 – 2019. To make it easy, you can select attribute tags from an existing template drawing file, click button "Import". First select a template drawing file, AutoDWG Attribute Extractor will enumerate all blocks and attribute tags in the drawing. Check the block name and the attribute tags, press OK, all attribute tags you select will be listed in the Wizard. Step 4: Specify the output format and file name, then click the “Next” button to extract attribute.